The extraordinary Baudelaire orphans face trials, tribulations, and the evil Count Olaf in their fateful quest to unlock long-held family secrets. I had figured on doing another binge-postathon for this season, but, partway through the first episode I just wasn't finding the show as compelling/gripping as I had during season 1, and the prospect of watching all 10 episodes in note-taking concentration mode did not fill me with joy. I finished watching the season last night, and just read all the AV Club recaps this morning (the recaps are spoiler-free for future events, as far as who may have survived the fire, or who the mystery woman former-Madame-Lulu who rescued the sugar bowl is, and only write about things like the differences between how Jaques and Olivia's book portrayals are, though the comment threads are no doubt full of book spoilers.) I found my opinions pretty much aligned with the recaps. The first half of the season was a slog; I didn't find the funny bits particularly funny, and it wasn't until the Vile Village jail cell scene of Klaus remembering it was his birthday that I felt drawn in emotionally. But I do think it picked up by the end, as they got away a little from the formula so far established. Overall, I don't think there was any way this wasn't going to be a filler season, since the mysteries can't be resolved until the series finale. I'm not sure what they could have done differently, aside from maybe ditching the Part 1 & 2 structure for the earlier episodes? One thing I'm not real clear on is the extent to which the show is aimed at the same pre-teen/tween audience as the books. (Yes, I know, "show-only" thread, but I don't think it's spoileriffic to just point out that the books are very definitely written for younger readers, however much adults can find elements of the books to enjoy and that may be over the heads of the younger readers.) And in kids' books a certain amount of formula and repetition is more feature than bug. Which is to say that while i certainly recognize that this season was kind of filler-ish and formulaic, it wasn't unexpected, given that I've read 4 or 5 of the books, and the appeal is more in seeing the outlandish situations and characters and watching everyone chew the scenery. Plus, as a set-up for the next and (I assume) final season, the show spent less time with the Baudelaires and more with the adult characters, establishing the VFD and the back story of how the kids wound up in this situation of near-constant peril - more world-building/expanding than focused on our protagonists, which is kind of necessary in order to move beyond being really repetitious, where every story is nothing but Olaf trying to get his hands on their money. So yeah, less emotionally interesting, but I think the show runners (and probably Handler the original author) were kinda stuck between a rock and a hard place by the point at which this series begins - you can't just keep repeating variations on the same story, you have to expand the scope and plot, but it's hard to do that without pulling some of the focus off the Baudelaires. Ok, but if anyone wants to take the book-to-show comparison any further, PLEASE just start a new ‘books included’ thread. Multiple book-readers kept accidentally spoiling a big plot twist in the season 1 threads, because their book-knowledge tricked them into thinking they weren’t. I have not read the books, and would like to be able to get through the rest of the series being surprised by whatever tricks the show manages to pull off, that’s why I used the ‘show only’ tagging on this thread. Only just got to these, and I really enjoyed them. 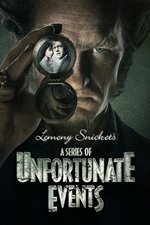 Really loved Esme Squalor throughout, and had more love for the use of Lemony Snicket than I did the first time around. I think I might not have liked them as much if I had watched them when they came out and I was expecting to love them - going in thinking "oh, right, I forgot these were out there" made it feel more like I was rereading the books. Which also lagged a bit this far in. I'm super late to this thread, but I did want to share an interesting thing I noticed about the structure of the season. SPOILERS for the season but seriously, you shouldn't even be reading this thread if you haven't finished the season yet, yeah? Something I have found interesting about this show is how everyone and everything in it is absolutely absurd, except for Violet and Klaus. To us, this show is a dark comedy. To them, it is deathly serious. While every other character is acting nonsensically and spouting jokes or ridiculous catch phrases, they're asking for some recognition of the seriousness of their plight, and they're always ignored. Sunny gets to be absurd because she's a baby/toddler, so the unfortunate events don't weigh on her as much as it does her siblings. So she gets to do things a baby could never really do, like administrative work and biting the bark off logs. During the Hostile Hospital episodes, the Baudelaires face a moral quandary—they finally realize that, in order to survive, they might have to do some unethical and immoral things. They realize they cross a line when they steal Hal's keys, and their actions result in the destruction of Hal's precious archive. But at the same time, that's when (two-thirds of) the Baudelaires realize they can use Count Olaf's techniques against him, specifically, dressing in disguise. So Klaus straps Sunny to his tummy, throws on a white coat and fake beard, and starts talking in a plummy British accent. Which comes to a head in the last couple of episodes, in which the Baudelaires spend the whole time acting as a two-headed person and a wolf baby, and are consequently able to decide to commit murder. Sure, it's the murder of a murderer, and the alternative is being murdered themselves, but it's hard to imagine them planning to actually kill Olaf in any earlier episodes.